A MYSTERY AS old as laced shoes was unravelled by experiments that reveal how shoestrings come undone when we are on the move. The researchers meant “catastrophic” in a technical sense of complete, or total collapse – once the loosening begins, there’s no stopping it. Lace-related accidents dot local media around the world: the van driver who killed a motorcyclist when his shoestring – wound tight around the accelerator – prevented him from lifting his foot off the gas; the boy whose leg got pulled into the gears of an escalator; the cyclist who went head-over-handlebars into traffic. To tackle the enigma, a trio of mechanical engineers at the University of California at Berkeley filmed a knot – on the shoe of a researcher running on a treadmill – coming undone in extreme slow motion. The images suggested a two-pronged attack on the knot’s integrity. “When running, your foot strikes the ground at seven times the force of gravity,” stretching and relaxing the knot, said co-author Christine Gregg, a graduate student. And then – as the knot relaxes – the legs swings into motion, applying additional force. 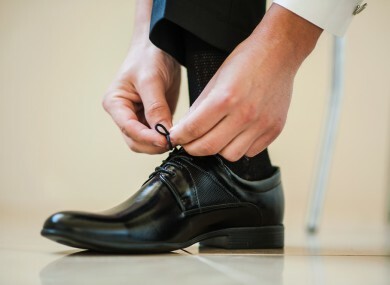 Of the two most commonly used knots to tie shoes, one is “weak” and the other “strong,” the study found. The strong version is based on a square knot, which is more symmetrical, while the so-called “false” knot twists when tightened rather than lying flat. “We were able to show that the weak knot will always fail and the strong knot will fail at a certain time scale,” said professor Oliver O’Reilly, whose lab conducted the experiments. Email “'Catastrophic failure': Scientists have worked out why your shoelaces keep coming undone”. Feedback on “'Catastrophic failure': Scientists have worked out why your shoelaces keep coming undone”.